The FNH FNS-9 Compact is based on the great FNS-9 full size. The original FNS has a huge following due to the pedigree and quality that FNH brings to the table. For many years FNH didn’t cater to customers in the Concealed Carry market because it was too busy fulfilling huge government contracts for all sorts of weaponry. Luckily for us, they’ve decided to release their talent on a great Concealed Carry pistol. 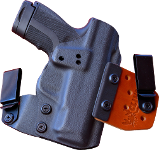 The FNS-9 Compact is small and light which is really nice for Concealed Carry. However, it feels and shoots like a bigger gun than it is. The included pinky extension (already installed on one of the mags) really helps you get a full grip on the pistol. 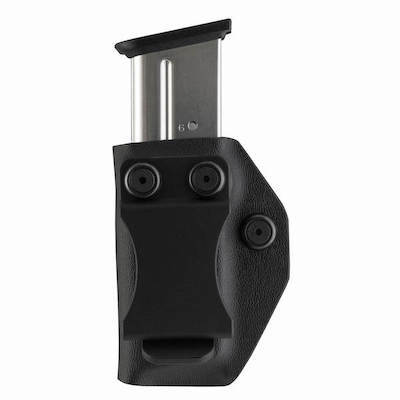 The full-sized FNS-9 magazines will fit into the Compact version as well. 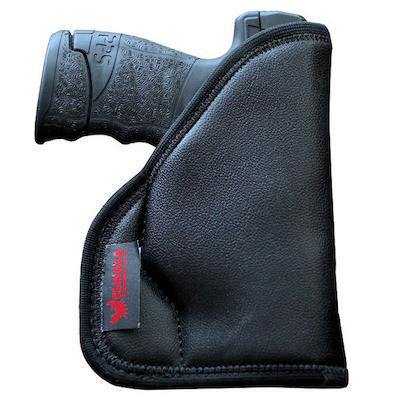 This allows you to fit 17 rounds of 9mm into the compact gun. The barrel is plenty long enough that accuracy doesn’t suffer yet short enough to help you stash the gun a little easier than the full-sized FNS. Hold the pistol and you’ll see that this pistol was not rushed through the ergonomics phase of the design process. It feels and handles great. One of the best features of the FNS-9 Compact is how it feels almost like a full sized gun in your hand. 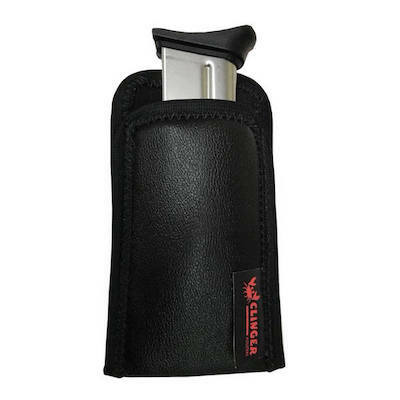 Yet, it’s very light weight and compact enough to conceal with no trouble. The raised bumps on the grip provide excellent grip (yet they’re not overly harsh). The swappable backstraps help dial the fit in as close as possible to your hand as well. 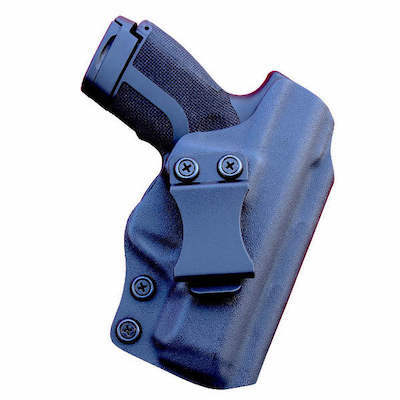 And to help out the lefties out there, FNH put an ambidextrous mag drop and safety on it. Speaking of the safety, it’s optional. I suspect more of these will be sold without the safety than with it. One last touch is the front slide serrations. Some people can take them or leave them. However, it’s nice to have them if you use them if you like to press check the chamber. The FNS-9 Compact performs quite well at the range. The 3 dot sights line up fast and are very visible. When you get it on target, it’s accurate and extremely reliable. The trigger is praised by reviewers as well. After you’ve shot all your brass, you’ll be happy at how easy it is to field strip. If you’re looking for an all-around great pistol for Concealed Carry, you simply can’t go wrong with this one from FNH. 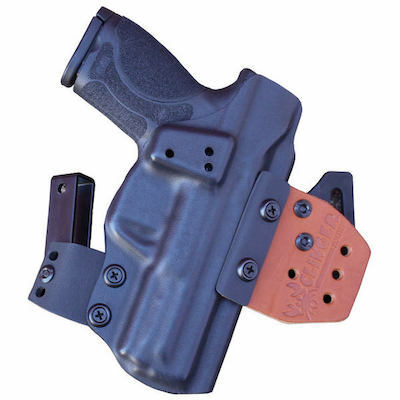 It has everything you need for Concealed Carry: reliability, accuracy, and a compact size. It’s light weight really helps too. Plenty of companies are already lined up to support this pistol too. 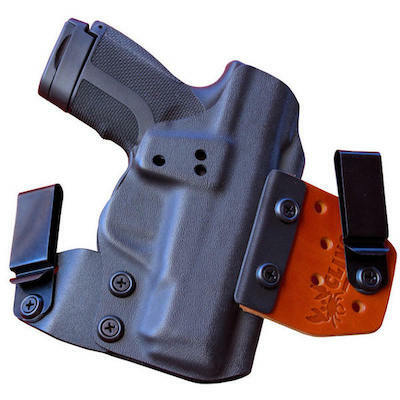 You won’t have any trouble finding FNS-9 Compact Holsters and other accessories for this one.